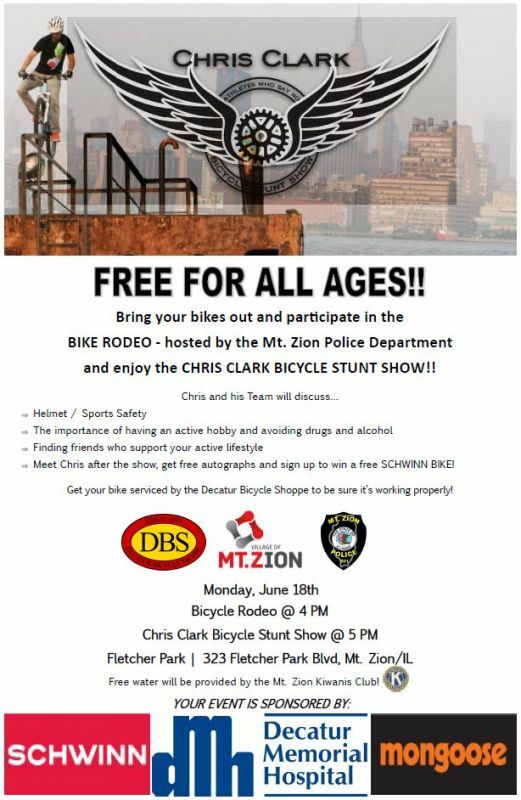 Next Monday on June 18th, we are going to be having our annual Bike Rodeo along with the Chris Clark Bicycle Stunt Show! Learn about bicycle safety and saying no! This event is brought to you by Decatur Memorial Hospital, the Mt. Zion Police Department, Decatur Bicycyle Shoppe and the Mt. Zion Kiwanis Club! !